I picked up Oh To Grace on a whim, something about the cover appealed to me and the title made me curious. I knew nothing about the synopsis before I started reading and I was frustrated at first that there were a lot of characters introduced at once. (Until at least a third in I was having trouble figuring out who was who and I would get hooked on a story and find it switched to something else before I’d really got a handle on it.) I can see why the author brought in little bits of information at a time- it created a blend of the voices and there was obviously suspense waiting to see what happened later but it was frustrating that it took me a few of these switches to get used to the writing and time changes. My first feeling (apart from the character confusion) was the warmth of the families. Rosser made a great impression on the reader with the different relationships, both the humorous ones and the tragic. I was most attracted to Anna’s situation, she spent most of her childhood in an orphanage and we only find out more of her history towards the latter half of the novel. My heart broke for her and her parents so many times- and this was just one person in the tiny town of Morgan’s Hat, Tennessee. The different stories were brought together by Aunt Frankie and came from her perspective of the family and other residents of Morgan’s Hat both as a child and as an adult - it added an interesting view point to have her childhood memories mingled with her adult ones. 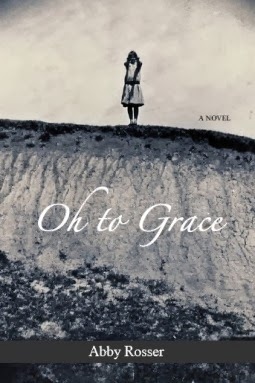 I understand that Oh To Grace is sometimes classed as Christian lit but I didn’t really get a feeling that made me think it was overly focused - for me the bible verses occasionally interspersed and even the heavy leaning on scripture at the end didn’t seem out of the ordinary for the area and time period in which the novel is set. Thank you to Vision Quest for our review copy. All opinions are our own.